Bham is back and cooler than ever. Vulcan is Birmingham’s famous patron god (Iron City, anyone?) whose statue overlooks downtown (and moons Homewood). It’s by far the best place to watch fireworks… except for those who get queasy from heights. Birmingham's newly-built baseball stadium has helped revive downtown and Birmingham's love for the sport. It features a beautiful view of the city (perfect during a sunset) and is conveniently located across from Good People Brewing Company- Birmingham's famous local brewery! And attend one of their free exercise classes while you're there! And be sure to check out the "You Are Beautiful" graffiti nearby- part of a campaign to uplift Birmingham and its citizens. This cool spot on 2nd Avenue North also has some delicious sandwiches, local brews, and some of the best cupcakes you'll find in the city. Local coffee, great books, delicious baked goods, and an awesome staff, this is the best little nook to study or catch up with friends. (Be sure to try the Breakup Cookie, their claim to fame). This little antique shop (next to Urban Standard!) is home to some of the weirdest and coolest little knickknacks in town. Hot and Hot Fish Club is home to the world-renowned chef Chris Hastings, famous for beating Bobby Flay in Iron Chef America (yes, really). Other award winners include Highlands Bar and Grill (featured above), Gianmarco's Restaurant, Avo, Ocean, Bottega, and more! This local treasure features some of the best southern breakfast foods in the city. If you get there right when they open, you may have to wait a while, but it will all be worth it when you get some of their French toast. Regrettable? Maybe. Worth it? No doubt. This new venue in Birmingham is already making huge waves. With bands like Neutral Milk Hotel, Local Natives, Trey Anastasio Band, Neko Case, and Arctic Monkeys, this is becoming the new hit venue in the city. Other venues to check out include Workplay, BJCC, Boutwell Auditorium, and the Forge. Last June, comedian Rob Delaney praised Bottletree in a tweet, saying, "No offense other venues but I think I'm gonna marry @BottletreeCafe in Birmingham. If you're a performer, get here. It's NUTS". This cool venue showcases comedians, spoken word poets, well-known indie bands, and local performers, as well as the best vegan food in Birmingham. Located in Five Points and next to UAB, Al's is another beloved local treasure. Open 24 / 7, you can always count on Al's for some delicious Mediterranean-American food (be sure to try the Baker!). This spot is somewhat hard to find, but any true Birmingham native will know how to find it- and once you do, it will take your breath away. Whoever said Alabama wasn't home to the best BBQ clearly never ate here. Whether at Saw's BBQ in Homewood, Saw's Soul Kitchen in Avondale, or Saw's Juke Joint in Crestline, your whole world is about to change. I recommend the smoked chicken sandwich with white BBQ sauce. Experiment with weight, sleep on the bed of nails, play with optical illusions, or enjoy an IMAX. One of the best places to get kids interested in science. One of Birmingham's weirdest features, this famous fountain in Five Points is still the object of great speculation. Some people claim the fountain, which features a ram-headed storyteller, to be satanic, while others say it's just art. Have no fear though- I'm pretty sure the church behind it negates any evil it might emanate. This health foods store and cafe in Five Points is home to Birmingham's only exclusively-vegetarian menu as well as some cool purses, jewelry, and clothes. This serene haven in the city is home to some beautiful trails and even more beautiful cliff views. This park offers a beautiful zip tour of the local woods as well as beautiful hiking and biking trails- and soon a dog park! Hike, run, bike, swim, canoe, and geek out when you find some of the spots Marble Hornets was filmed. Built in 1927, it's one of the most beautiful structures in Birmingham. It's also the best place to catch movies not in commercial theaters. Come by for their Christmas movie series, Harry Potter marathons, summer movie shows, and the annual Rocky Horror Picture show (and the pre-movie singalongs, of course!). Secret Stages is Birmingham’s new music festival. Hosted downtown over a weekend in August, attendees can see up to 80 bands from all over the US (including Birmingham!) in the Historic Loft District. Grab a tube and some friends and float down the Cahaba River on a hot summer day. You can also canoe, kayak, swim, and, if you're bold, jump in using one of the rope swings. Birmingham's biggest farmers market is held on Saturdays in Pepper Place from mid-April to mid-December. Come by for fresh food from local farms, music, clothes, jewelry, pottery, and good company. Art Walk is an arts festival held in September on 2nd Avenue North. Shops open their spaces to local artists, and attendees can purchase any available art, meet the artists, listen to good music, or just enjoy the local art scene. The museum is free to the general public and includes incredible exhibits, including an outdoor sculpture garden. While you're at the art museum, stay for Art on the Rocks, a summertime series featuring the best of local art. Drinks, food, music, performances, activities, and features of local artists are available to attendees (of legal age, of course). This theatrical treasure showcases the best of local theater- from comedians to musicians to dancers to actors. Summer classes and workshops are also available for those hoping to express themselves with a little more flair. First Ave is Birmingham's indoor climbing gym- one Birmingham natives have embraced fully. Learn to boulder, buy climbing supplies, or bulk up in their gym. Moss Rock Preserve is home to some beautiful trails, creeks, and boulders, just ready and waiting to be explored. Alabama Symphony Orchestra is the state’s only full-time professional orchestra. Though they usually play at a few select indoor venues, they’ve been known to play a few outdoor concerts in local parks- perfect for a summer night. Run the marathon or the half marathon and get some free beer and massages. Running not your thing? Come out and cheer your fellow citizens on- and discover some beautiful parts of Birmingham you haven't seen before. The Greek and Lebanese Food Festivals are two of the biggest food festivals in Birmingham and are sure to leave you happy, full, and wishing you were Mediterranean. Be sure to check out the students dancers, the Lebanese family tree, and grab some of that Greek coffee while you're there. We love our festivals in Birmingham, and luckily for us, Avondale Brewery does too! This local brewery and restaurant hosts several family-friendly music festivals over the summer. The day-long festivals have featured some great local artists, including up-and-coming St. Paul and the Broken Bones. Doodles is Birmingham's beloved homemade Italian ice and sorbet provider. 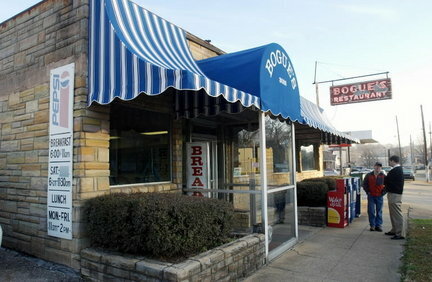 Located in Cahaba Heights, there's nothing better on a hot day than one of their treats. But be sure to stick around during the fall to grab some of their delicious Great Pumpkin sorbet. Steel City Pops is Birmingham's gourmet popsicle store. With various locations throughout the city, it's the best place to indulge on handmade, all-natural popsicles and show your love for the city. Seriously, do you see all that icing? Nom nom nom nom nom. Olexa's is an adorable French restaurant in Mountain Brook Village that also happens to have some of the most delicious treats in town. And be sure to check out the historic Old Mill! Sloss is one of the oldest and most famous structures in Birmingham- and one of the coolest. It's now a sort of interpretive museum of industry and is home to a bunch of awesome metal artwork. It's also a cool venue and, near Halloween, a haunted house. Furnaces were dangerous back in the day, and there are a bunch of ghost stories surrounding the site, making it one of the most haunted structures in town. Birmingham was at the center of the Civil Rights Movement, and its history is riddled with stories of triumph and stories of deep discrimination and violence. The Civil Rights Institute is open to the public and has incredibly moving exhibits- by the time you see the 16th Street Baptist Church, famous for the bombing and killing of 4 little girls, you'll be speechless. The Birmingham Botanical Garden is located in Mountain Brook Village and is home to dozens of gardens, secluded little nooks and crannies, and beautiful trails. It's also a popular wedding destination. Each December, the Birmingham Zoo hosts Zoolight Safari, which is basically when they cover the zoo in thousands of beautiful twinkle lights. Few things were more magical as a kid. Barber Motorsports hosts dozens of races a year and also happens to be incredible beautiful and cool (yes, those are giant spiders). While you're there, be sure to stop by the museum and check out some vintage motorcycles. Some people are Auburn fans, some people are Alabama fans, but in Birmingham, everyone's a Blazer fan. Cheer on the Blazers to a win- but maybe leave the paint at home. Ousler's sandwiches are basically mini celebrities in Birmingham. There are few parties you'll go to where you won't find some of these incredibly delicious (and addicting) delights. Just make sure to pace yourself- it's way too easy to scarf down a whole plate. Whether or not you subscribe to any Christian beliefs, if you love architecture, you'll love some of these churches. The Cathedral of St. Paul is one of the most famous Catholic churches in the south- and I think it's obvious why. If you're into a warmer feel, check out the Cathedral Church of the Advent for some insanely beautiful woodworking. The Color Tunnel is new but was instantly popular. Tumblr is obsessed with this tunnel and so is the rest of Birmingham. The Sidewalk Film Festival is Birmingham's annual local film festival, showcasing student and professional films downtown. Some of its most notable films include "4 Little Girls," a film on the 16th Baptist Church bombing and "Our Mockingbird," a documentary about the partnership between two schools and their production of "To Kill A Mockingbird"- one that even Harper Lee came out to see.